This entry was posted in How Does It Work? 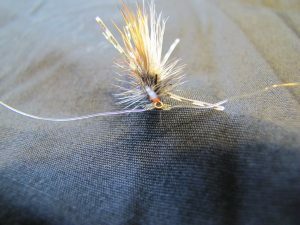 and tagged Dry/Dropper Flag Rig fly fishing freshwater flies indicators Monthly Fly Nymphing spring trout fly fishing summertime trout fly fishing on March 29, 2016 by Joe. A little while ago I talked about how when you go to the river, you should take some time to observe how the trout are feeding before you can hone in on them. I talked about how fish holding the bottom are hitting on midges and nymphs. I wrote about fish that are aggressively hitting the surface are hitting sub flies like emergers. I covered trout sipping the top breaking water are hitting dries. In Part 2 I want to talk about how to specifically fish for those fish. Knots that you should know are surgeons knot, blood knot, clinch knot and a davey’s knot. I use the clinch and davey’s to attach the fly to the tippet. The surgeon’s knot and blood knot to attach leaders and build out my fly rigs. 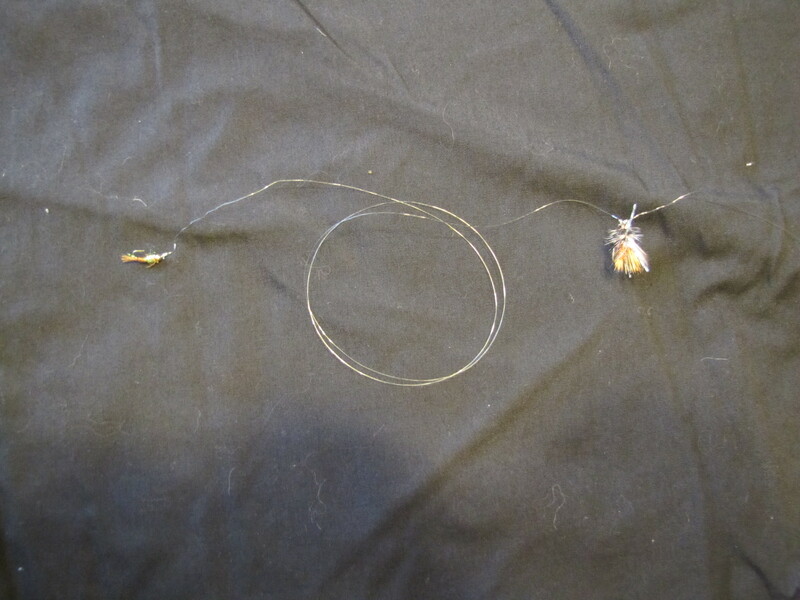 There are many different ways to rig up your tippet in order to nymph for trout. Everyone does it a little different. The two main ways I nymph for trout are either a dropper rig or a flag rig. A dropper rig is pretty simple and there are many different variations. 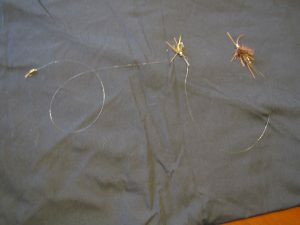 A typical nymph dropper rig consists of a larger fly as your top fly with tippet trailing either from the hook shank or eye of the larger hook down to a smaller fly. If you are fishing barbless you will tie off the eye of the hook. If it is a barbed hook you can tie off the curved shank and not have a problem. If you want to add a third fly to this you can. I call is a “prospecting” rig. 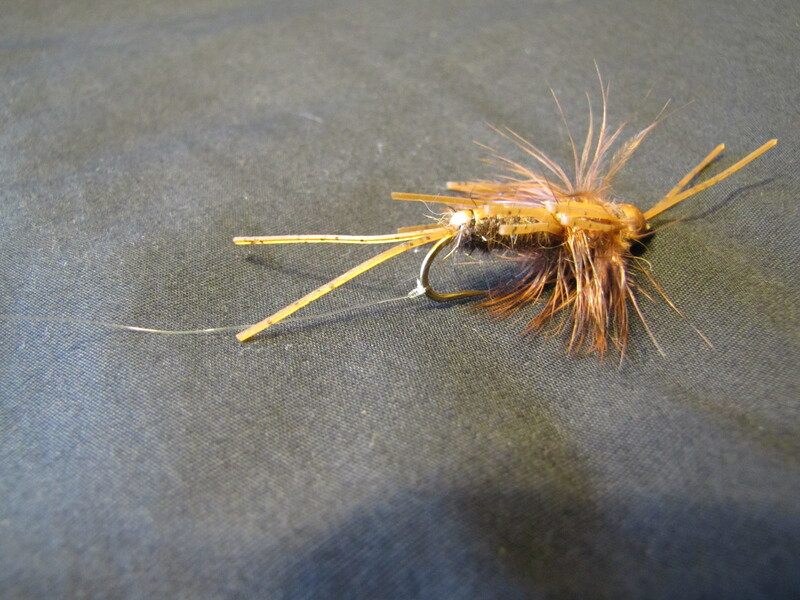 Typically the top fly will be a larger woolly bugger or girdle bug followed by smaller more natural flies. 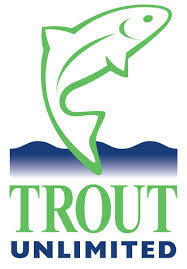 The idea is for the large fly to attract the trout and if they do not take it, then take the following more natural fly. I then use an indicator to adjust the depth I want to fish. This rig works best for attracting trout that are holding the bottom of the river. If you need to add split shot above your top fly then do it. Extra weight can be your best friends in some instances. I fish very deep when the water is very warm (summer) and very cold (winter) because depending on the time of year the water is either warmer or colder in the bottom of the run as the water in the bottom is moving slower and will be a different temperature than on the surface. This is a very productive way to fish and I have caught many trout on it. A flag rig is not as common as the nymph dropper rig, but can be used to catch fish that are feeding less aggressively. It’s also useful because you can detect more subtle hits. This rig can be tied many different ways. 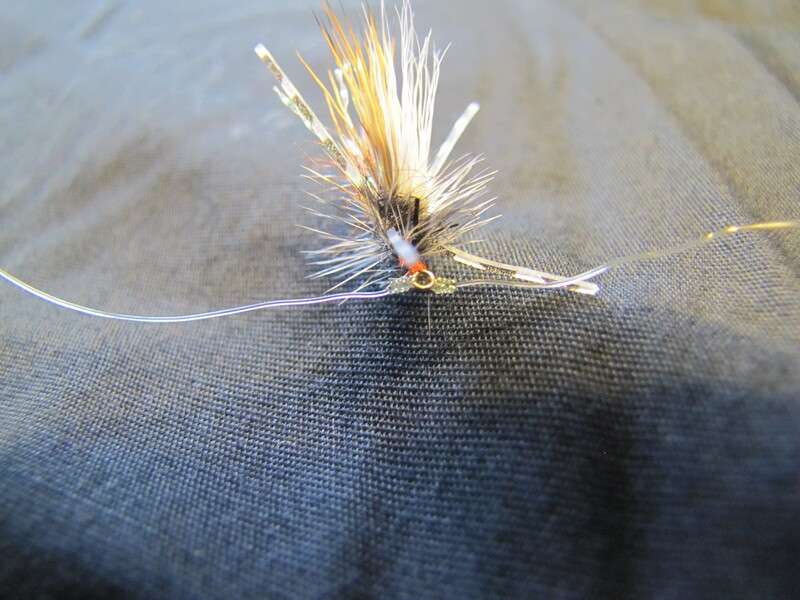 The simplest is to tie your nymphs off at the eye of the hook so they stand out at a 90 degree angle continuing down with tippet where you will tie off the eye of another nymph. 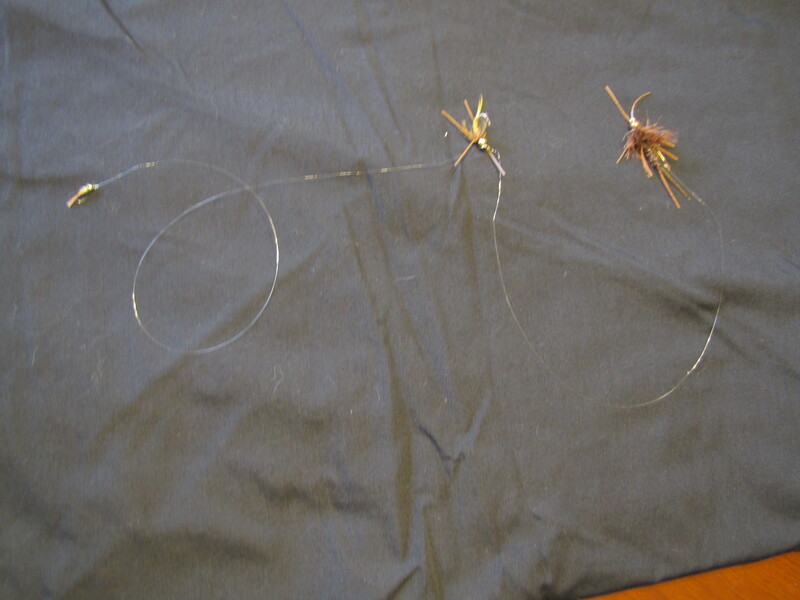 You then will add one more piece of tippet and either tie off a heavier nymph or split shot at the end. 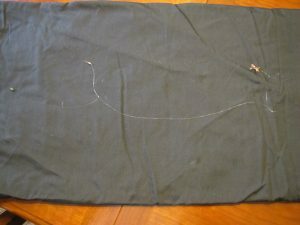 The actual flag rig is where you take a piece of tippet, usually 3-4 feet long and tie in a double surgeon’s knot and then go down 12-24 inches and tie another double surgeons knot or blood knot (wet your knots before pulling tight) This will give you two loops in the length of tippet with 8-12 inches of tippet left after the last knot. 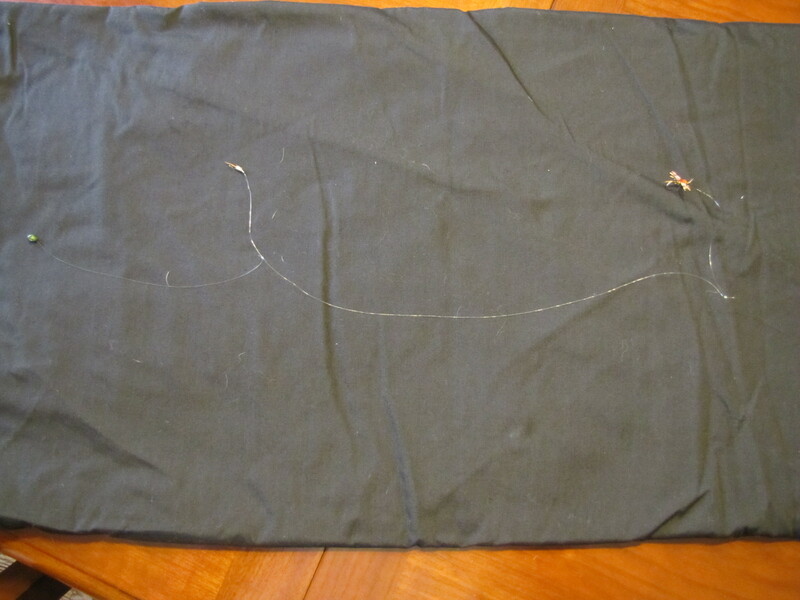 You then need to attach the tippet to your leader. You will use a double surgeons or blood knot to do this. For best results if your leader tapers down to 5x then you will want to attach tippet that is either 5x or drop down to 5.5 or 6x tippet. I always drop down a ½ size to a size so if you get snagged and the line breaks, you will hopefully not have to add on a new leader or build out a new leader. Once you get to this point you will clip the loops near the knots and then shorten them up so that they do not touch each other. You will attach your lighter flies to these tags. After this you then put a simple knot in the bottom section of tippet and you will attach split shot. I enjoy using this rig if I am nymphing midges and other small flies. You will add enough weight so the weights are bouncing the bottom. It is important to set your indicator right for any of these nymphing rigs. If you are not seeing the indicator ticking on top of the water then you are not keeping your nymphs close enough to the bottom. This is a very effective way to fish for trout if they are rising or hitting emergers. You could even use it nymphing. You simply attach a dry fly to your leader and then a piece of tippet either off the eye of the hook or curved shank of the hook. Your tippet length can vary from 12 inches (minimum) and longer. I generally use 20-24 inches, but you could go longer if wanted. The length will vary some depending on the depth of the water you’re fishing. When picking out a nymph, it is important to tie one on that does not weigh so much that it pulls the dry fly underwater. If there is a hatch going on I will try to match the hatch as well as I can with the dry for the chance to not only catch a trout on the dropper, but the dry fly. If I do not have the exact fly, I carry a variety of stimulator flies in different sizes and colors and will look for one that resembles what I see. 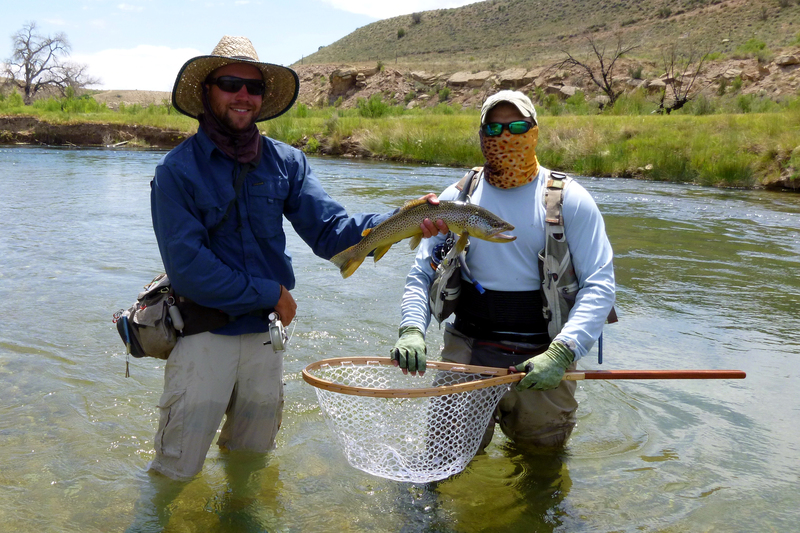 As trout season progresses and the spring turns into summer, you can start watching for larger insects holding in the tall grasses near the river. 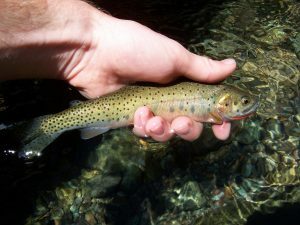 On a windy day, try a hopper as a dry fly and see if you can get a large rainbow or brown to rise to it. These are not all of the nymphing or dry fly rigs, but they are the rigs that have given me the most success over the years. If you are not familiar with these knots, practice using some cheap mono line. If you look online, there are plenty of articles and videos to walk you through how to tie many knots used for fly fishing. I hope everyone can get out and enjoy the warming weather. And where exactly do you go fishing to catch those kinda fishes ??? I walk and I walk and I walk to get away from all the local creek side campsites and into areas where the fish do not see many people.